Glock. You know the name, but do you trust the brand? 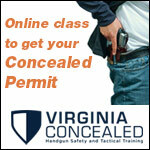 Choosing the right concealed carry firearm is an important decision; a decision that should never be rushed. Here is why I choose to carry the G27 as my EDC (every day carry), and have so for years now. I feel that this would be best started with some background information. 30 years old, 5′ 7″, 130 lbs. That’s me. I have always been on the smaller side, and knew that this would impact my decision when choosing my EDC. 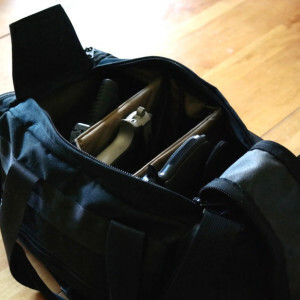 For example, the summer months are always the toughest to properly conceal a firearm. 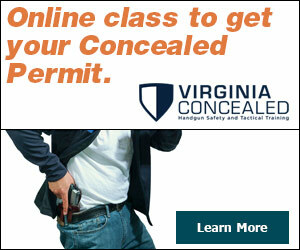 Having a small frame, shorts and a t-shirt don’t give me a whole lot of options to conceal a decent-sized firearm. I went back and forth to the gun shop many times to see and touch the numerous firearms that I was interested in. 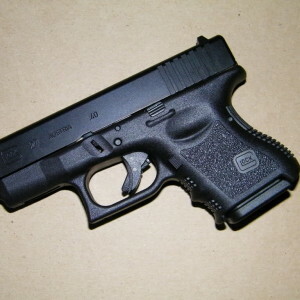 Here are the reasons that I choose the Glock 27. 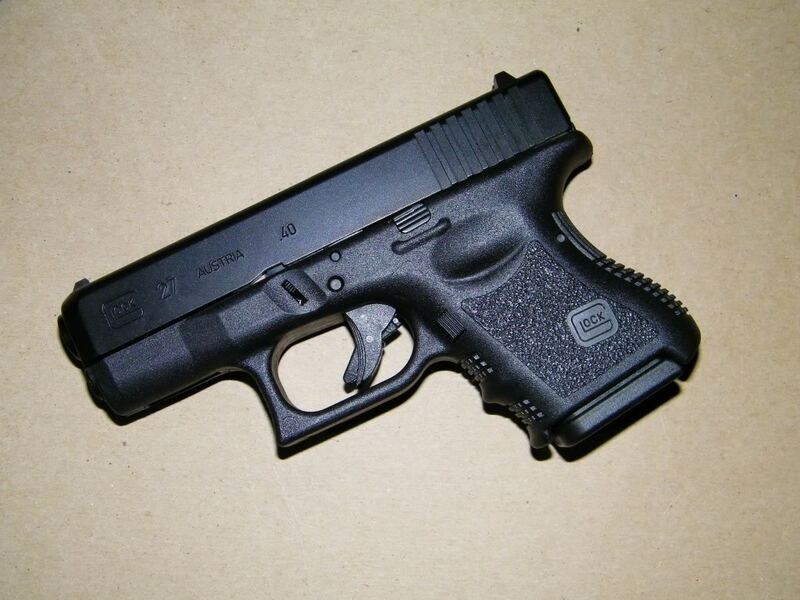 The Glock 27 is classified as a sub-compact .40 S&W. 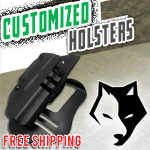 At 6.49″ long, 4.17″ high and just 1.18″ thick, it’s pretty easy to conceal in a quality IWB holster while wearing shorts and a t-shirt. You sacrifice barrel length over the full sized models by about an inch, but this firearm proves to be just as accurate at respectable distances. 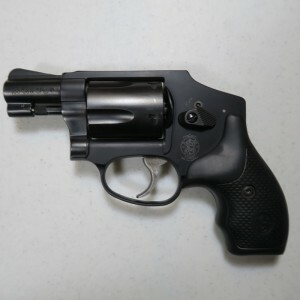 And for it’s small size, it doesn’t pack too much of a punch as far as recoil goes. It is very manageable for follow-up shots. A side note on the size of this firearm: People have their own preferences with the size of the grip, as your pinky will be hanging down below the firearm with nothing to wrap around (unless you add a pinky extension plate on your magazine). I have no preference with this, as I shoot the same with or without the pinky extension. 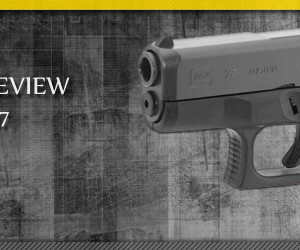 A powerful caliber in a small package. 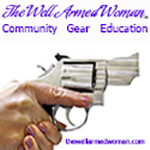 Everyone has their preferred caliber as well as their opinions regarding the usefulness of each caliber. For a close-range self defense firearm, it is my opinion that .40 S&W will get the job done if I am ever in that unfortunate situation. Choosing your carry ammunition is a whole other topic, but once the research is done, you will find that some even outperform some 45 ACP rounds. No external safeties here (well, except the trigger safety). Sometimes people overlook the fact that thumb safeties have been known to get caught up in clothing while drawing. 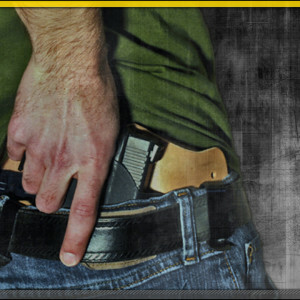 With the Glock, your safeties are all internal and do just what they’re supposed to do. During a stressful situation, there is no need to potentially fumble with an external safety. Furthermore, if anyone tells you that they practice disengaging their safety and it would never be an issue in a stressful situation, don’t listen to them unless they have already had to draw in a stressful situation. No person on earth will know exactly how they will react until the time comes, regardless of how much practice or experience they have. That firearm will never discharge unless you pull the trigger. For more information on their “Safe Action” System, click here. This deciding factor cannot be stressed enough. 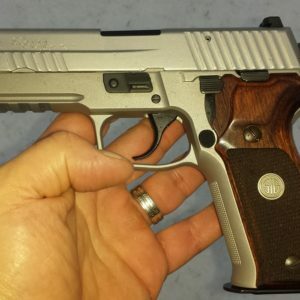 If you are not confident in your EDC, you should be looking elsewhere. Aside from fiberoptic sights, everything on my G27 is stock. Since I picked it up spankin’ new from the gun shop, it has done what it’s designed to do each time I pull the trigger: Go Bang. It is my personal preference that, if a firearm EVER fails to fire, and the failure is not due to ammunition but rather the firearm itself, it’s time to retire that firearm from EDC. If one day you need to rely on it and it doesn’t do what it’s meant to, you may wish you had done the same. Of course, lemons exist with firearms just as they do with cars, and not everything is perfect. However up to this day, my G27 has performed flawlessly. If this ever changes, well…I’ll cross that bridge when if that day ever comes. As many fans of Glock know, they have many interchangeable parts that are easy to come by. They also provide the same solutions for different firearms. Let’s say you buy a Gen 3 G27 and a molded IWB holster. If one day you decide to purchase a Gen 3 G26 (9mm), you are able to use it in that same holster because the frames and slides are identical. Glock also has the added benefit of interchangeable magazines. If you carry a G27 with the standard 9-round magazine, you could also carry a spare 15-round G22 magazine because it will fit perfectly. With simple items comes simple maintenance. Glocks are known for easy take-down. Now I’m not talking field strip here (although that’s super easy as well), I’m taking your full-blown take-everything-apart-one-piece-at-a-time-until-you-have-all-34-pieces-of-the-gun sitting in front of you (this includes the magazine). It’s so easy in fact, that I did it in roughly 4 minutes on my very first try, without directions. All things considered, this is my #1 choice for concealed carry. Hands. Down. Am I a Glock fanboy? Perhaps. 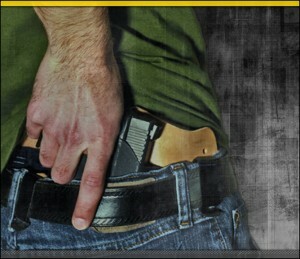 It’s small, packs a powerful caliber, easy to conceal, accurate, and most importantly; reliable. With a combination like that, I’m not sure how anyone could go wrong. Sure it isn’t the prettiest thing to look at, but it performs as advertised without fail.